One year blog anniversary! – Go There. Try That. I can’t believe it’s been a little over a year since GO THERE! TRY THAT! first began its food and experience journey. During this year I’ve written close to 80 posts. These include everything from classic go-to favorites like Ambar India and Song Long to addictions like Carabello Coffee and Paradise Ice; from adventurous eats like Island Frydays to outdoor exploits like Bikes by the River and Pyramid Hill. No doubt about it, I’m a tourist at heart– always exploring! Cincinnati has so much to offer! I look back at all the places I’ve featured thus far and I’m blown away! And there’s still so much left to see, to do, to taste, to drink! Life is good. As I am reflecting on this past year in the blogosphere, I must give shout outs to Katie Holocher at Out + Outfit for endless advice, to Beth Gifford for the blog name, to my husband for always answering my five million website questions and providing editing advice, to my guest writers for sharing your precious words, and to my friends and family for always being up for an adventure. Additionally, thanks to my readers, likers, and sharers. Seriously! When I started this blog I told friends and coworkers that I’d probably be writing for an audience of four. No joke! So if you read this, THANK YOU from the bottom of my heart! 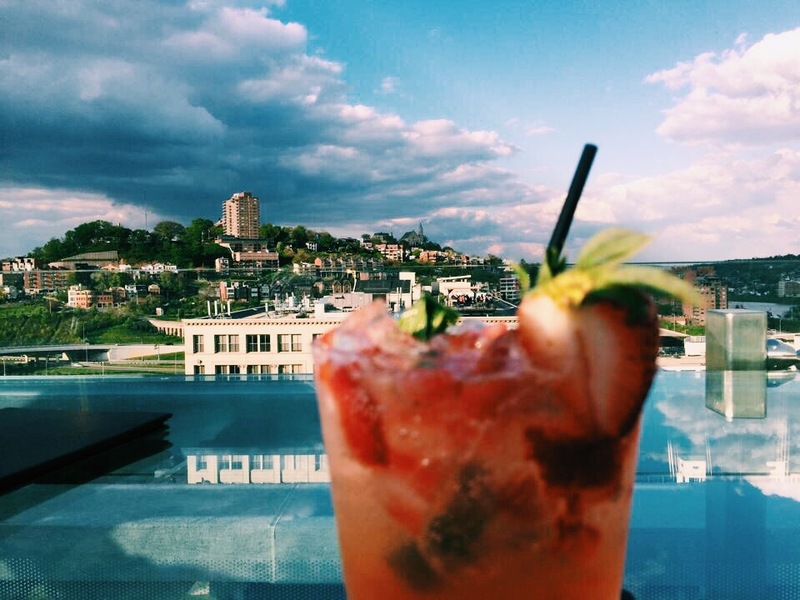 Because I only write positive posts (if it’s bad, I just don’t write it), I can honestly say that Cincinnati has a rockin’ food scene and most of my experiences are excellent. More than ever, I enjoy the small local establishments, the dives, the no frills won’t bust your budget places. I could stand to shorten my writing; in fact, I’d be able to write more posts that way. But I fight my desire to introduce, to describe, to dig into details. Writing is all about growth for sure! I so love doing life with people! Truly! My friends and family have learned when food or drinks are served, everyone must pause for pics. Pics not only of my order, but theirs as well. Possibly multiple photos. Possibly more photos after I’ve “framed” a shot. Seriously, they just wait patiently with forks in hand! I mean, that’s not annoying, right?! I’ve definitely come to a deeper appreciation of moments- memories in the making. I cherish the experiences and adventures I get to have and I’m always ready to plan the next. My super taster abilities are heightening. I can detect certain spices and rattle off cooking methods with great pride. I’m waiting for TV’s Top Chef to seek me as a judge- let’s do this! Share a fave post from the past year via Facebook or Twitter (@gotheretrythat) . Don’t be afraid to dig deep in the archives. 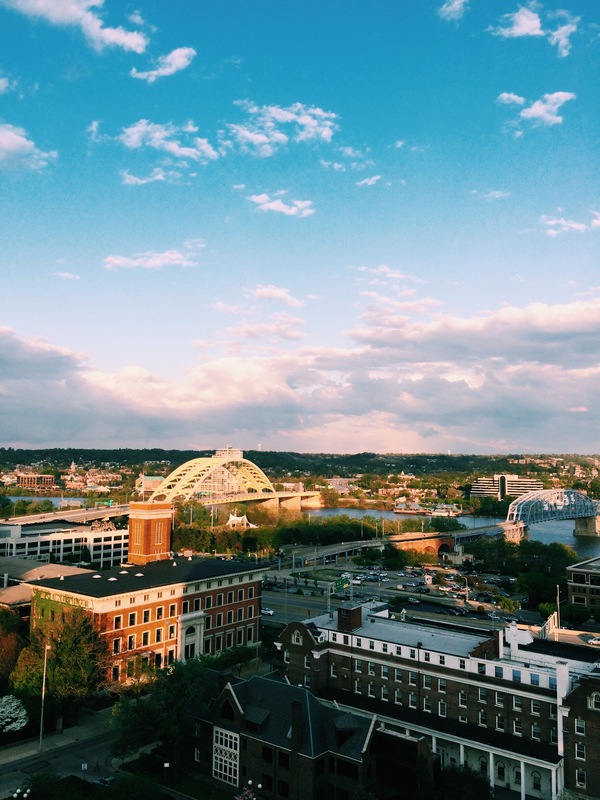 Send me a message, a comment, about one of your favorite Cincinnati area spots! Here’s the kicker: winner, drawn at random, receives a gift card to a place of THEIR choosing– as long as it’s from the blog (of course)! 😉 I will announce the winner next Wednesday, April 6th! HAPPY ANNIVERSARY! As Reb Tevye says in Fiddler on the Roof, l’chaim to life! GO THERE (exploring)! TRY THAT (something new)! Queen City Clay (formerly Funke Fired Arts) in Hyde Park Congrats! Anniversary Post Winner! Love your blog Mindy. Need to visit some of the places. It’s hard to pick a favorite place in Cincinnati. The river front is my go to on a nice day. 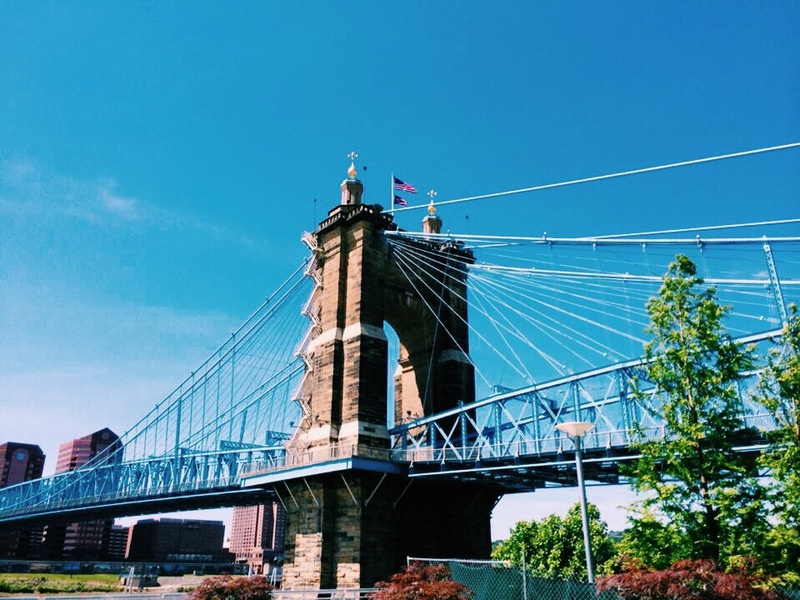 From Covington along the riverfront, across Roebling, and from Smale to Yeatman’s Cove, with plenty of stops along the way. GoVibrant has a number of nice walks in Cincinnati. You should check them out some time. I really loved trying Boca recently! One other place I’ve been meaning to mention to you is Lima Limon in Florence. It’s an unassuming place in a strip mall near the Florence Mall, but the food was very good. Peruvian food seems very eclectic. I’m told they are known for their seafood. I’m allergic to shellfish, so I had to miss out on that. I’m definitely going to add it to the list. Thanks.